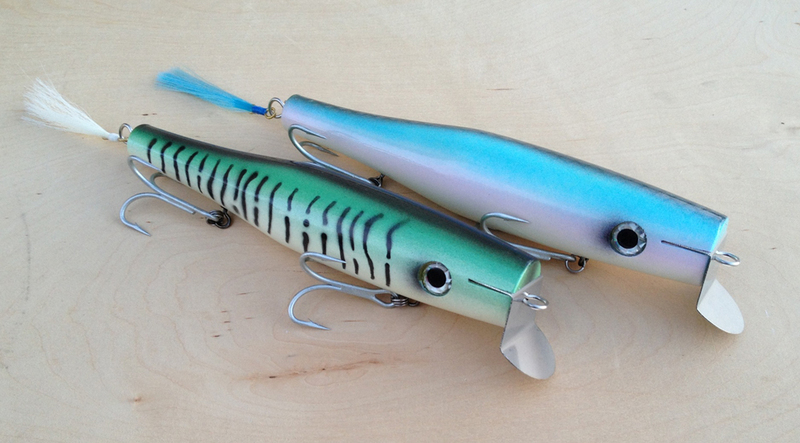 RM Tackle is going to get restocked today with lots of good stuff. Needlefish, darters and swimmers, oh my! A new color in the 1 1/2 oz. Needlefish that I really like: Lime/fluorescent yellow/white and Back/purple scale. Darters in squid and chicken scratch. I even gave them a partial chicken foot. 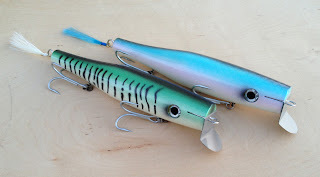 Then swimmers in herring and green mackerel for all you guys in New England that rely on these colors for your early spring fishing. Hope you guys like them. I don't know what time the store will be updated, but sign up for RM Tackle's the newsletter for a head start. And for you guys fishing the freshwater, RM Tackle still has a few 3" Pikes and they have been a good producer for the past couple of weeks. And they catch even better once these fish get their pre-spawn feed bag on and the post spawn is just going to be silly.